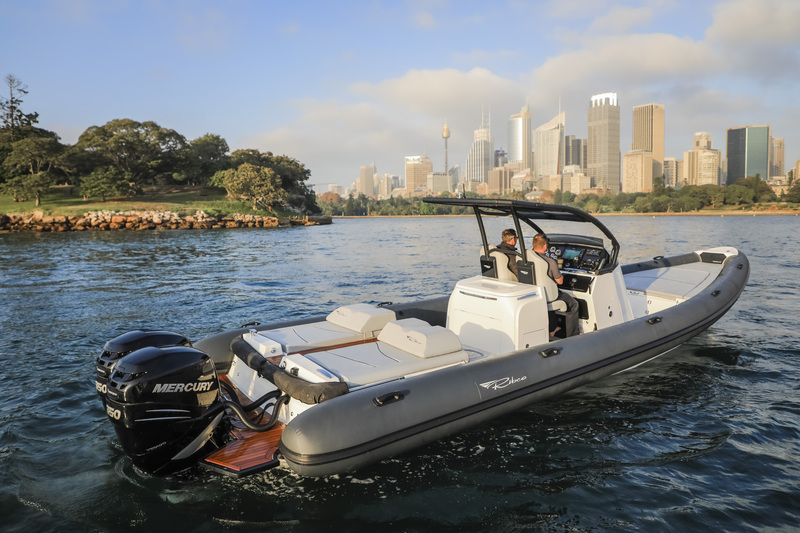 As day boats and tenders go, RIBs – Rigid Inflatable Boats – make inherently good sense. The inflatable buoyancy tubes along the gunwales serve as peripheral fenders during marina manoeuvring, while also giving tremendous stability, safety and a dry ride for passengers during enthusiastic use and in choppy conditions. The rigid hull, meanwhile, gives the performance of a traditional speedboat. It also makes good sense that a RIB chosen for Australia, with our harsh UV conditions and extremes of heat, should be bred in similar conditions. 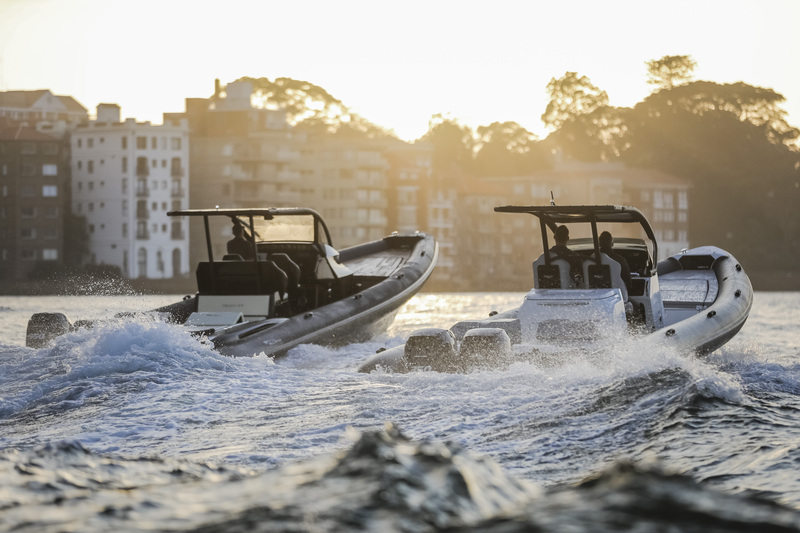 Like, say, Greece, from whence hails the Ribco range of 28, 36 and 44-foot boats that were recently displayed, in the presence of Ribco co-founder Stelios Ladopoulos, at the Sydney International Boat Show. Ladopoulos and business partner Nikiforos Valerianos established Ribco in their home city of Athens in 1994 with the intention of exploiting the RIB design’s capabilities in every direction: performance, seaworthiness, comfort and quality. The result is a craft that many now choose over a conventional rigid hull day boat. Ribco craft feature spacious decks with highest-quality materials and the larger models boast equipment like a WC and shower, hot water system, two sun tents with double beds, fridges and an espresso machine. That’s along with plenty of storage for water skis, wakeboards and beach towels. 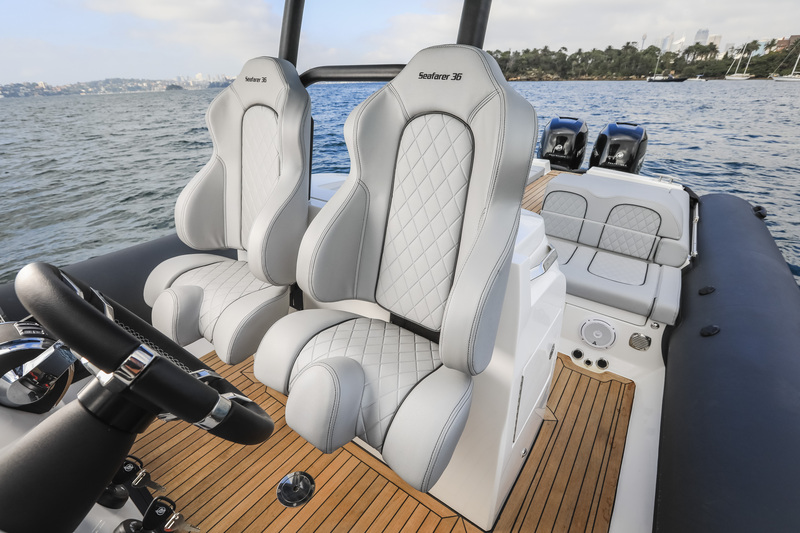 Ribco’s stepped, deep-vee hull and centre-console driving position provide handling to satisfy even the most demanding of performance-focused customers. Former Australian international cricketer Michael Clarke is an enthusiastic owner of a Ribco 28ST, which he confessed to driving very differently when solo, versus days out with his young family on board. While the 28ST from $179,000 (inc. GST) might be described as the baby of the range, its two-stepped hull makes it equally suitable for lazy, soft-riding days out (with large sun lounges at the bow and stern), dashes between inner-harbour beaches or offshore running, such as from Sydney Harbour to Pittwater. The mid-range Ribco Seafarer 36 from $369,000 (inc GST) steps up the comfort stakes considerably, with a large helm station with a carbon-fibre instrument panel, more deck space (hand-laid, full teak) and cleverly concealed storage space, a wet bar with sink and fridge, a WC and shower within the centre console and a cabin that sleeps two in the rear compartment. A pair of 350hp Mercury outboards says plenty about the performance. 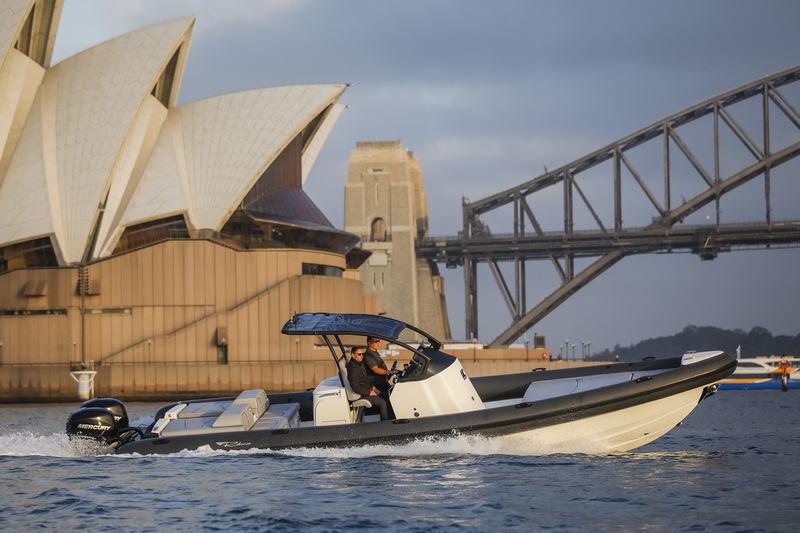 The top-line craft of Ribco’s Australian range, the Venom 44 from $689,000 (inc GST), is unusual in offering true offshore capability, with its Category B certification qualifying for voyages of 200 nautical miles offshore. With seven bulkheads in its solid fibreglass composite hull, the Venom 44 can withstand winds of force eight and waves higher than four metres. With triple Mercury 350hp outboards it is capable of up to 62 knots. On less arduous days out, the Venom 44 cossets up to 12 passengers with its hand-laid teak decking, two large sleeping cabins, a spacious toilet and shower within the centre console, a wet bar and fridge, Nespresso machine and JL Audio sound system.